It had been one of Blake's dreams to have a session here, so when Caroline and Joshua suggested it, we were STOKED. And then she showed up in this gorgeous dress, and we were dying to see the images before we even started shooting! 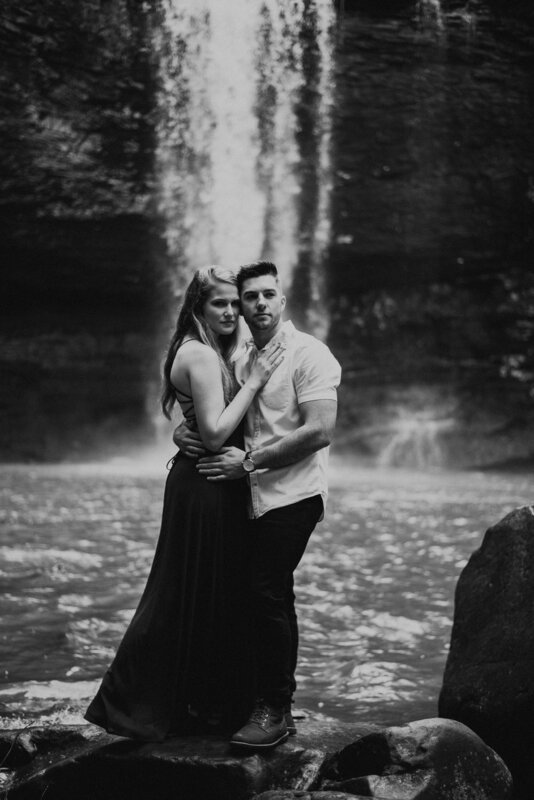 But besides the fact that this location is to die for and these two should be models, we had the best, most refreshing conversation on the way to the falls. They met the same place we met--at our alma mater, Lee University! Caroline led worship in Chapel (she's amazing-- you can listen here), and Joshua may or may not have worked extremely hard to get her to notice him. But it worked, and now they're such a life-giving, God-glorifying couple. 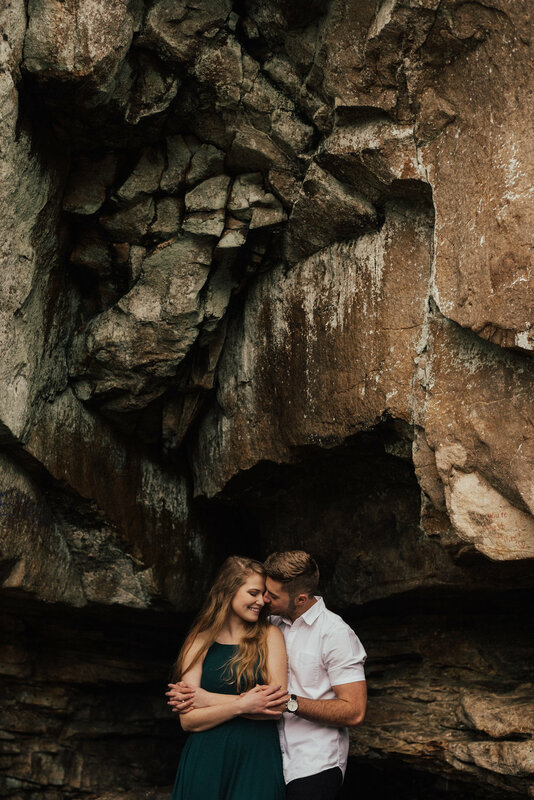 Their wedding is in May, and I don't think we could possibly be more excited.